After a long time, I’m Lina come again with a new concept of Allamanda paper flower. In this time I was busy for making Christmas Decoration. I have 20+ Christmas Ideas this year. Check my YouTube Channel and watch all the Christmas video tutorial there. Hope you enjoy all the idea. So, Today I discuss with you about a Blue Color, Nice, wonderful allamanda paper flower. Its prove that, if you decorate your home, room, business and wedding party all are like this this flower. Because it is have another beauty. 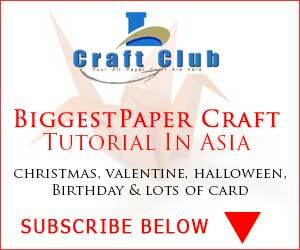 Allamanda paper flower making idea is very easy. And my video always make easy for you. I try to make video so easy that, a 7 years old kids understand easily. In this video I show you step by step how to make this allamanda paper flower. Someone also says its a kusudama flower. But you judges what the name? By the way, Hope today this origami paper flower you enjoy most of the other time what you do. Don’t waste your time here and there. Make some new, make yourself a new creativity. Bring out your own self that you also can do that. Make your first allamanda paper flower, and Don’t forget to share with us. Our comment section, facebook page, group and youtube channel are always for you to contact with us. Lina always waiting for your feedback how you learn. Share you picture. Its inspire us more and make me happy. If you want to check out our new Christmas Video, here is the playlist of 2018 Christmas.